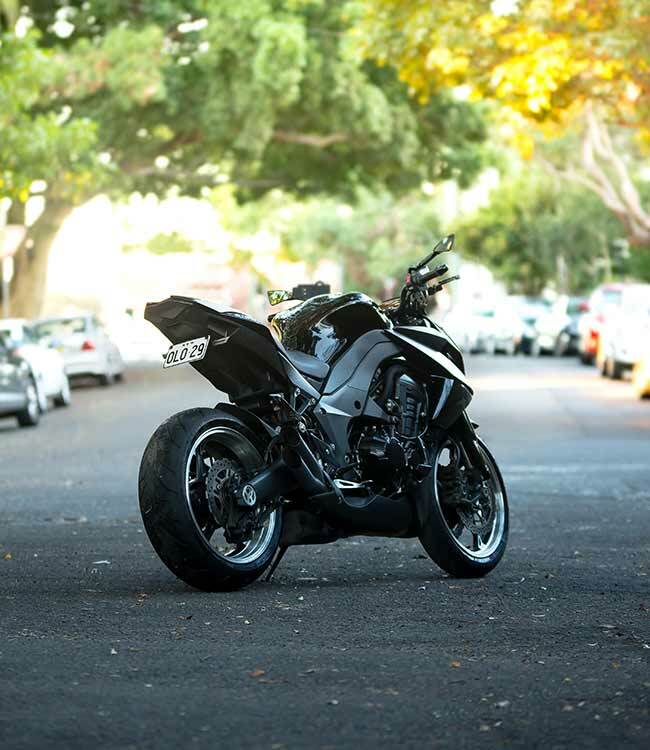 Whatever your reasons for motorcycle shipping to Australia, there are some legalities and necessities you should bear in mind before you start the journey. Aspects such as preparation, research and how to ensure the passage is successful all need to be kept in mind, and will be important to read up on thoroughly before you start. Unlike the process of transporting a car or larger vehicle, motorbikes are required to be securely crated or palletised for transport. This is so it can be moved easily for loading and unloading, and also helps the motorbike itself remain secure for the journey. You need to consider how you’ll go about this – where you will get the crate from, whether your shipping company provides them/recommends a partner to supply, how you will get your crated motorcycle to the port, and whether your shipping company requires pre-crating. The motorcycle must be capable of moving on its own if it’s to be palletised, as it will need to be driven up and down the ramps at either end. So it’s best to check it’s in shape before handing it over if this is the case – and also make sure it doesn’t have any leaks, as you could be charged extra if it leaks oil or fuel during the passage. We’d also recommend leaving just enough fuel in the tank to cover your journey from the port, plus up and down the ramps, as leaving extra in can also be a leak risk. It might also be a good idea to drain the bike fully of oil, providing you’ll be able to easily re-fill it when you pick it up, as this will help prevent against this risk. Take photos of the bike before it is crated or picked up, as you’ll be able to compare these against the motorcycle itself at the other end. If you give it a good clean before you take the photos, you can be doubly sure of any new scratches etc. that may have occurred during the shipping. Make sure things like wing mirrors are covered in protective wrapping if the bike is to be palletised. Also, make sure you remove any personal effects from the bike, including your helmet. This is to guard against theft and accidental damage. Your bike will need to pass through customs before you can collect it, so be sure to document everything that is shipped with it, especially if you’re shipping accessories such as spare tyres also. You should keep copies of this documentation with you at all times during your journey, in case you need to answer any questions before you can pick the bike up. By law, shipping companies have to offer insurance against damage, but it may be that they don’t cover some optional extras that you require (water damage as an example), so be sure to do your research. Make sure they offer the insurance you need for your peace of mind. Cover levels can differ enormously from company to company, so you’ll need to make sure they offer the rates and service you need. Do your research on their reputation. Ask other people who may have used them what they thought, and also ring or contact them with any questions you have. If you have to wait days for your answers or don’t feel they respond to you correctly, you’ll be better placed to judge how you feel their service level will be when they handle your motorcycle shipping to Australia. Don’t use a company you have doubts about, even if their pricing is better, because you will be the one who may have to pay in the long run! Also, get a wide range of quotes before you make a decision, as different quotes will cover different things. How will they transport the bike? Will they require crating or use pallets? Try to make sure the bike will be as secure as possible, as you don’t want the hassle of an insurance claim or damage to sort out when you reach your destination if it can be avoided. Remember, if you don’t feel happy with their answers or you need further information; be sure to ask before you arrange the shipping. When you’ve finally completed your motorcycle shipping to Australia job, you’ll want to immediately check it over for any damage that may have occurred. Compare the real model with the pictures you took before transport, and claim for any damages as soon as you can, to avoid any doubt about the origin of the damage. Because you’ll have drained your fuel tank except for the necessary fuel for transport, you’ll need to make sure you know where the nearest fuel station is, so you can fill the motorcycle up if you need to drive it to your destination. You’ll also need to check your tyre pressures, and refill the oil if you drained if beforehand. The bike must be in a roadworthy condition before you ride off into the sunset! Make sure you have all the necessary documents with you when you go to pick up the bike, as this will avoid any complications and mean the experience is as trouble-free as possible for you. Forgetting your documents may mean you can’t pick the bike up, or extra checks need to be done, which will delay the process. It may be pertinent to take copies as well as the originals, which will prevent against the risk of losing anything you need. If you have shipped accessories or spare parts with the bike, be sure to check these as well as the bike itself. You should have also taken photos of these, so again, compare the pictures to the real items. Any damage should be reported immediately, to prevent any complications with the claims process.